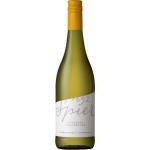 Spier Wine Farm produces the Spier Discover Chenin Blanc Chardonnay , a white wine from Stellenbosch vinified from chardonnay. According to Uvinum users, this white wine earns 4 out of 5 points. What are the opinions of other vintages or volumes of Spier Discover Chenin Blanc Chardonnay?